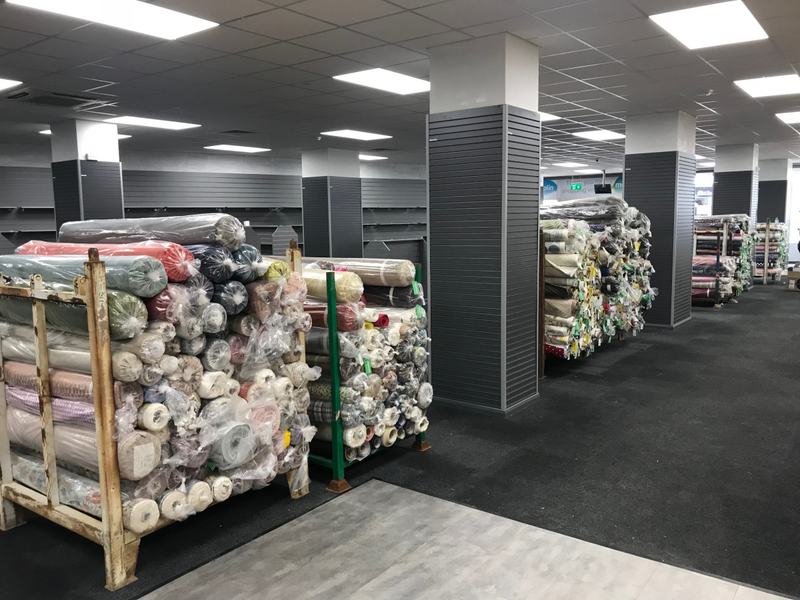 Fabrics, hobby and home retailer Abakhan is opening its first Shropshire store in Shrewsbury towards the end of this month, creating more than 17 jobs. The store on Market Street is the family-run company’s tenth bricks and mortar store and it’s furthest south. Featuring a wide range of dressmaking fabrics (including Liberty prints), home furnishings, haberdashery and knitting yarns, the Shrewsbury store will have a specialist workshop area, with a programme of sewing and craft classes, taster sessions and free demonstrations. Sales and marketing director William Abakhan, explained that the company had been interested in opening a shop in Shrewsbury for a number of years. He said: “We initially looked at Shrewsbury in 2013, but couldn’t find the right base. However, this location – the former Maplin store – on Market Street is perfect for us. “Shrewsbury is an amazing market town and we have a lot of visitors to our other stores from this area. The Shrewsbury store will offer a made-to-measure curtain and blind service, where customers can select fabrics from the store and have them handmade by Abakhan. There are also plans for free weekly knitting & craft groups, as well as offering a space for parties and events. The 17 new posts created with the opening of the Shrewsbury store will range from managers through to shop assistants, there are also freelance positions for experienced sewing and craft tutors. The family firm, which was founded in the 1940s by William’s grandfather Russian rug maker, Michael Abakhan, acquired its first site in Mostyn in North Wales in 1973, which is now the company’s flagship store. It has since opened shops across the North West, including Liverpool, Manchester, Hanley, Chester and most recently Altrincham as well as further afield in the Baltic states, and now employs 280 people. Abakhan also has an online shop with around 20,000 products, including everything from fabrics and soft furnishings to knitting yarns and craft accessories. The Shrewsbury store is expected to open during the week commencing August 20. There will also be a special launch in September, that will include a weekend of craft and sewing demonstrations, taster workshops and opening offers.